James Best, who was best known for his role as bumbling Sheriff Rosco P. Coltrane on TV show Dukes of Hazzard, has died aged 88. James Best died in a hospice in Hickory, North Carolina, after a brief illness due to complications from pneumonia, his wife Dorothy said. Dukes of Hazzard ran on CBS from 1979 to 1985. James Best was a prolific actor and starred in dozens of films and TV shows alongside the likes of Humphrey Bogart and Jimmy Stewart. But it was his portrayal of Sheriff Coltrane – who was forever outwitted by Luke and Bo Duke – which made him a national figure. Beginning his on screen career in 1950, James Best secured a contract at Universal Studios and played a string of villains in westerns before moving to television. 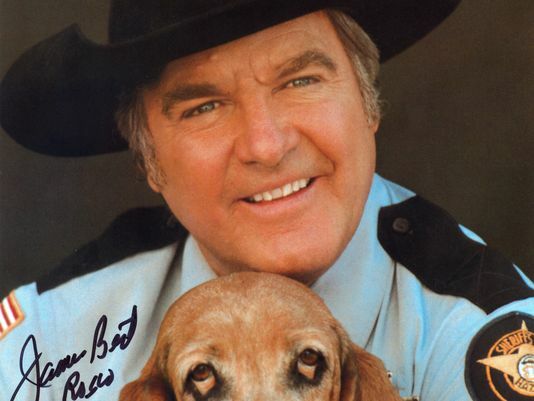 Off screen, James Best taught drama at the University of Mississippi and University of Central Florida. He also taught an acting class in Hollywood, working with celebrities including Gary Busey, Clint Eastwood, Farrah Fawcett and Quentin Tarantino. In 2011, James Best sued Time Warner for using his image on Dukes of Hazzard merchandise, saying he did not receive all the royalties he was entitled . The case was settled out of court in 2013, the day before it was due to go to trial. James Best was last seen on screen in 2013 TV movie The Sweeter Side of Life and had been due to start work on a film called Old Soldiers, about World War Two veterans. James Best is survived by his wife Dorothy, a son and two daughters.